I came to Harvard armed with C.S. Lewis’ Mere Christianity and Timothy Keller’s Reason for God. I came prepared for professors to attack my beliefs and for peers to laugh at my faith in Jesus Christ. My parents, pastors, and friends told me with wrinkled foreheads that the Ivy League is where Christians go to “get secularized.” Gear up your apologetics! Find a church fast—if you can find one! Harvard, they warned, is strictly atheist. But they were wrong. Harvard is not atheist; it is agnostic—which makes it easy to be a Christian, but much harder to be a follower of Christ. For the past seven years, I have lived in College Station, Texas, the proud home of Texas A&M University, where most people believe in Aggie football almost as much as they believe in God. Kyle Field Stadium, glorious in its $450 million renovations, dominates the suburban skyline. All roads converge at a college apartment complex, a Tex-Mex chain, or a church. Pick-up trucks are slapped with cross stickers, social media bios are covered with Bible verses, and most conversations begin with “Howdy!” and end with “Gig ‘Em and God Bless!” So after my acceptance letter arrived in the mail, I spent my last months in Texas preparing for a cultural and spiritual shock. 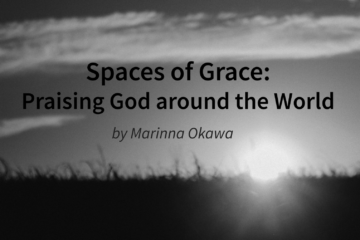 I was moving from the epicenter to the fringes of cultural Christianity, and I expected to be confronted, challenged, and criticized for my faith. The reality has been much less dramatic, for better and for worse. There are almost as many churches in Cambridge as in College Station. They are different—some have rainbow flags in the windows and meet in mini-cathedrals, others have no windows and meet in Porter Square—but most streets still converge at a church. There are enough Christian groups on campus to spell the whole alphabet with their acronyms. I thought finding a Bible study would be difficult for a lack of options, not an overwhelming variety of them. No one has ridiculed, scoff ed, or thrown stones at my faith. Deans, proctors, teaching fellows, and peers have discussed religion with tip-toeing respect. I have received countless emails extolling Harvard’s religious diversity and encouraging open acceptance of all faiths. No one has made a comment, gesture, or micro-expression that hints at intolerance. No one has even asked why I am a Christian. 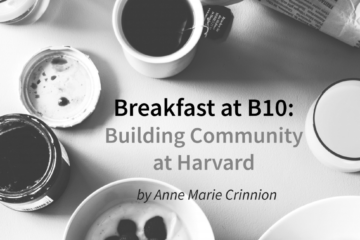 In Cambridge, Massachusetts, the proud home of Harvard University, most people believe in respecting what others believe—almost more than most people believe what they believe themselves. In this sterilely respectful environment, following Christ should be easier than it is in College Station. 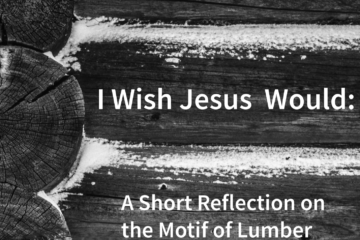 Surrounded by cultural religion at home, I often dozed into an attitude of “Christianity by osmosis.” In College Station, it was the norm to be a Christian; it was easy to tune into Peace 107.7, listen to radio worship songs 24/7, and feel in touch with God simply by conforming to the gospel culture. Complacency in my relationship with Christ was a frequent, dangerous consequence of this effortless accessibility to the Christian mainstream. But never forced to take initiative in my faith, I often slipped into spiritual stagnancy. I was always a Christian, but taking my spirituality for granted frequently kept me from following Christ in a personal, ever-deepening relationship. Harvard’s religious agnosticism, where diversity is the highest good and intolerance the lowest vice, should offer the optimal opportunity for spiritual growth: a balance between the hostility of an atheistic environment and the complacency of a Christian culture. With no open assault on my faith, I have never been discouraged, and with no cultural assumptions, I have never slipped into superficial religious feeling. I have been forced to take initiative in my relationship to Christ, to actively seek the Lord if I want to know Him, and as a result, my faith has grown stronger than it likely would have in College Station. The Christian friends I have met here, in the same absence of negative and positive religious pressures, have challenged and encouraged me to hungrily seek Christ. As I have lived in this environment that neither attacks nor presupposes my beliefs, but simply accepts them, my faith has changed from my family’s faith and my culture’s faith to become my faith. From this, Harvard’s religious agnosticism seems almost more conducive to spiritual growth than Texas A&M’s cultural Christianity. But by accepting all beliefs at face value, this university still makes being a Christian easier than following Christ. On a campus where all religious convictions are embraced as equally valid, it is easy to start using the wrong possessive pronoun when talking about God. 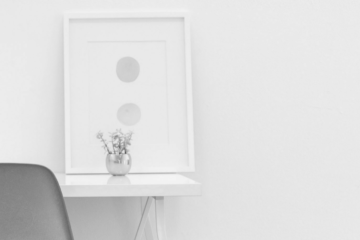 In so many conversations, “my faith” has become a way to distinguish myself from others. I am tempted to itemize “my belief in Christ” as I do “my home culture” — it is a part of my identity that is no different—no more spiritual or valuable or true—from the next student’s belief in another faith, or lack thereof. In The Screwtape Letters, C.S. Lewis warns against this abuse of the personal possessive pronoun. Men, he writes, have learned “to say ‘My God’ in a sense not really very different from ‘My boots,’ and at Harvard “my concentration,’ ‘my extracurricular activities,’ or ‘my hometown.” (See page 85 of The Screwtape Letters by C.S. Lewis, First Mentor Printing 1988) To value all religious beliefs equally is to dilute all beliefs to limp, lukewarm identifiers. If all spiritual convictions share the same truth-value, the become little more than preferences, things we participate in like extracurricular clubs, or items we wear, like boots. Only at this heavy price can Harvard embrace all religious faiths as equally valid. Only by denying Truth with a capital “T” can our college community—as a faculty speaker mentioned at Freshman Convocation—pursue its “varying standards of truth.” Harvard is agnostic not because it flatly denies the existence of Veritas, but because it insists Veritas exists everywhere—and thus nowhere at all. Living in this community, it is no more difficult to be a Christian than it is to be a Muslim, or an atheist, or a Hindu, or an agnostic, or anything else. Everyone has a right to his or her own truth. But living in Harvard’s agnosticism, following Christ is harder. We are undoubtedly called to love those of different faiths. In John 4, Jesus shares the water of life with a Samaritan woman, and in Matthew 28, he commissions us to bring the gospel to all nations of the world. But true love can only be founded in Truth—with a capital “T.” How can we claim to love God’s people and yet permit them to live cut off from “the way, the Truth, and the life” (John 14:6)—in the name of religious tolerance? If we are following Christ in a deeply personal relationship, our faith is more than a distinguishing characteristic or our purpose in life. It is who we are; it is the reason for life at all. In respecting peers of all religious backgrounds, we must remember we are called not to tolerate, but to love in Truth, in Jesus Christ, who we claim as the only Lord and Savior. 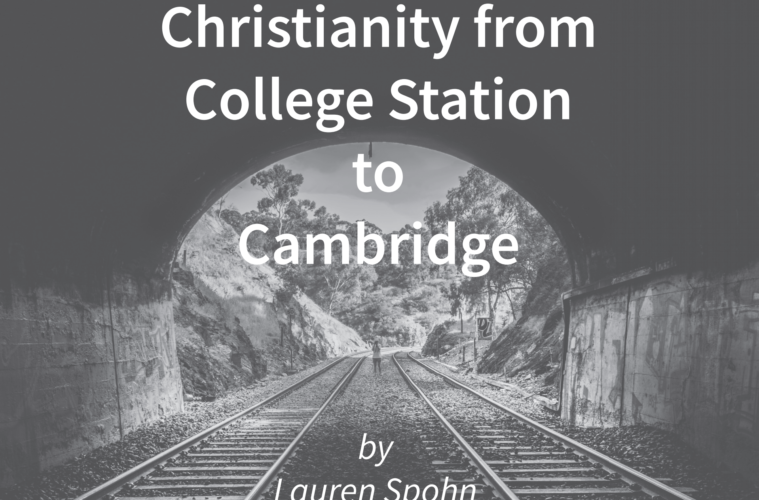 From College Station to Cambridge, and from cultural Christianity to religious agnosticism, being a Christian is easier than being a follower of Christ. Traps of complacency and truth-dilution lie at every step of our walk with the Lord, and I thank Jesus Christ every day for his unfathomable grace—without which I would surely fall into every snare (and still manage to almost always do). But God’s Truth—redemption through the death and resurrection of His Son, Jesus Christ—is bigger than Texas A&M’s mainstream culture and Harvard’s diluted Veritas. Though any college campus cuts a difficult path, Jesus already walked the most difficult path. He has already picked up the cross, and it is up to us—no matter where we are—to pick up our own cross daily and follow Him. Lauren Spohn ’20 is an English concentrator in Currier House. 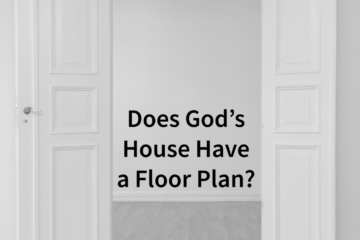 Does God’s House Have a Floor Plan? Wow! This article was incredible. I’m a senior in high school now, and will be coming to Harvard next year from out of the Bible Belt. I can’t tell you how encouraging it is to hear your story of growth in your relationship with Christ at Harvard. Thank you!